I started Karate back in late ‘70s – a time when, in the UK, it was raw and unchallenged in its effectiveness – a time when many martial artists looked to the likes of Bruce Lee for their inspiration. The movie screen still remains a great source of both inspiration and guidance as we watch ‘the baddies’ taken out with style. 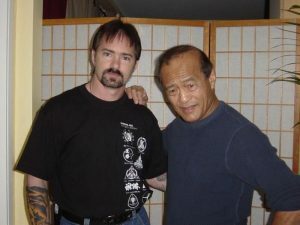 Filming a fight scene is a lot different these days though, so to find out more about this subject, I spoke to a legend in the martial arts movie genre. 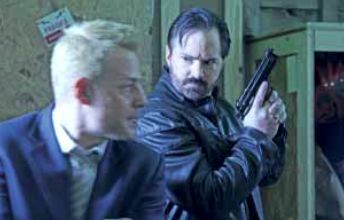 When it comes to the beat-em-up movie you can’t do much better then to have Man of Action Mark Grove in the directors seat. 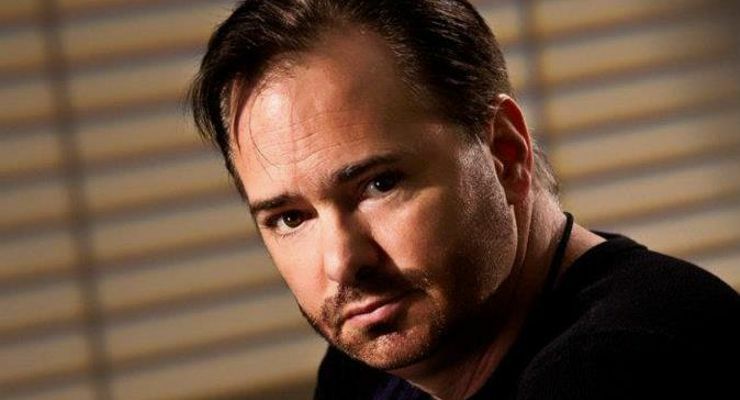 Ian McCranor: When you are seeking action actors, what are you typically looking for? Mark Grove: There are a few criteria I look for in people who want to perform in my films. Number one is humility. I don’t really care how long someone has trained, who they know, how many awards they’ve won, etc… All I care about is their look and how their skills come across on screen. I say this because, often, martial artists carry around a great deal of ego because of their accomplishments, but they must realize that they are two different industries. I learned that the hard way myself, but that’s a whole different story. Number two; they have to be able to act. The fact is real-fighting and film-fighting are two different beasts. So, although I am looking for someone with impressive skills in unarmed combat, acrobatics and weaponry, I am probably more interested in someone who is available emotionally, who can live in the scene rather than just robotically perform in it. In most cases, it is easier for me to teach an actor how to fight that to teach a fighter how to act… I hate saying that because, as a martial artist, I am always criticizing film fight scenes for their flaws, but I still think acting is first priority. seen in past martial arts stars so, in essence, they are copied and therefore not unique. Ian McCranor: This sounds like an obvious question – would you advise someone to take serious drama/acting classes before considering attending an audition? Mark Grove: You’re right, getting professional training in acting is invaluable. It’s no different than how a martial artist who is skilled at striking might seek a coach to increase their grappling abilities. However, some people also have natural acting abilities or may have learned basics in high school theatre. The best advice is to be honest with yourself about your acting skills. Most people think acting is easy so they enter the arena unprepared for an audition, or they hope their physical prowess will make up for their acting limitations. Both are mistakes. Acting isn’t easy and over dependence on physicality will only get you third-tier characters who are considered throwaway. If you want to play characters of substance, you need to be ready to seize the moment early in your career. Unfortunately the era of the straight martial arts film is dead. In the ‘80s and ‘90s you could hire a bunch of good martial artists, regardless of their acting skills and put together a cheesy macho story, rip off shirts, pose down and beat everyone senseless type of film. I remember it well. I was at the theater or the video rental store to see them the day they were released, but those nostalgic memories do not blind me to the fact that times have changed. There is a new type of martial arts film on the horizon and martial artists need to be prepared for the challenge. That’s why I have a complete training program which I put my team through that challenges their martial arts skills, teaches all aspects of stuntwork and special effects AND hones their acting skills so they can be marketed to film productions throughout the country. I took up Karate in the ‘70s and like many people around that time I was influenced by Bruce Lee. When you watched him you never really saw violence, you were watching an incredible athlete at work. What is your personal opinion on the way action movies present combat these days. I guess what I am asking is skillful choreography or ruthless realism? Well, now we’re into it. The ‘70s were not only the heyday of martial arts in film, but in our country as a whole. Martial arts were definitely becoming mainstream in the ‘50s and ‘60s and we saw them in a variety of films, such as the James Bond film You Only Live Twice (which I happened to like because they highlighted Ninjutsu). However, it was the emergence of Asian cinema that really ignited the fire in the hearts of the Western world. Films made by Shaw Brosthers were nothing short of inspirational. Films Mark with Tzi Ma like The Five Fingers of Death and The Five Deadly Venoms, as well as the classic 36 Chambers of Shaolin starring Gordon Liu. But nothing could compare to the phenomena of Bruce Lee. So much has been written about the man and his life, I would not dare to rehash it, but I will say that his films and his insights into martial arts were a huge catalyst for how martial arts would evolve from that point forward. All that said, your question brought up a very valid point that does need to be addressed. Violence. All combat is violence, whether it is a Western shootout, a European sword fight, or a spectacular martial arts sequence, it does not matter… In a cowboy picture it was the art of the fast draw. In the swashbuckling picture it was about finesse with the blade. In the martial arts picture it was about mastering a unique method of fighting. In all of the above we admired heroes (and villains) who were truly proficient warriors. Blood and excessive violence were definitely present in ‘70s films, but in most cases, secondary to the magnificence and spectacle of the action. Also, one of my favorite aspects of the ‘70s films from China was that the fights were shot with wider angles and fewer cuts. The performers had to be amazing practitioners in order to pull off the amazing fight sequences. As far as the movies of today, it is a difficult comparison… We have become adrenaline addicted. Fast moving video-game like images have replaced the glory of a well choreographed fight sequence. Camera technique replaces skill level, computer graphics replace complex stunts. It’s not that one is better than the other, just different. But, what has definitely changed is the audience’s pleasure in watching excessive violence. Brutality is very evident in film and television, to a point that would have never been acceptable in past decades. But our martial arts have changed as well – Sport Karate, Judo and the like are now in the shadow of Mixed Martial Arts, which have also been known to display much more brutality and, as such, have become equally popular among the masses. Well, it goes to show that people think throwing money at problems always fixes them. This just isn’t true… In the case of big budget features it’s really hard for me. I can’t see how they spend what they spend. So much waste in the creative process, it drives me crazy. If I was working on one of these films as a actor or stuntman I wouldn’t complain but, as an independent filmmaker, I just cringe at the amount of money that gets paid out to create mediocre films. Low budget films have the problem that they are usually lacking in every stage of the production. The real gift of the independent filmmaker is that they are always trying to be inventive in how they shoot their films. This Macguyver-like quality often pays off on a creative level that audiences have come to appreciate. I just wish there was a way that the public and the critics would judge a film, not only on it’s entertainment value, but their budgets as well. I think when people watch an independent sci-fi film they immediately start comparing it to a huge budget film with similar content. Not really fair in my book. I think if people saw what went into an independent feature, the behind-the-scenes passion of the artists, they would be impressed. But when a big-budget film fails there really is no excuse. They had every advantage…time and money, name talent, exotic locations and sets etc. If these films don’t deliver then there is a moron at the helm. Also, unlike big budget filmmakers, it’s rare that low budget filmmakers get crazy-rich, but they can make a very good living if they are able to market their products effectively – that’s the real trick. Big budget movies have the added bonus that they have enormous advertising campaigns which creates a public awareness to their products. 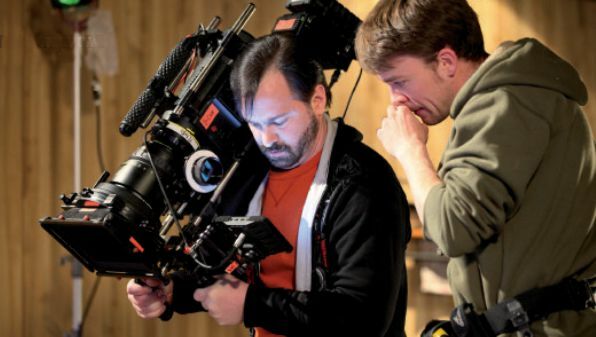 But times are changing – with social media, even small filmmakers are able to get the word out quite well, so it is helping to push people to look for low budget titles. So, here’s my suggestion on a winning formula. 2) Think outside the box. Don’t fall into rehashing old concepts and thinking they are your own. Try and develop something that has an edge…Even though I am a martial artist, I do not make straight martial arts films. If I did, I would lose money. I integrate limited martial arts style fighting into fusion-style films. My last two films Gathering of Heroes: Legend of the Seven Swords was a fantasy/adventure with seven cool heroes who have a variety of fights against goblins, lizard men, skeletons and even dragons. I was able to put a couple of wire effects and nifty fighting moves in but, in the end, it isn’t meant to be a martial arts film. My other film, Legacy of the Tengu (2014) (aka Tengu: The Immortal Blade), dealt with the spirit of a 500 year old Japanese sorcerer possessing a modern day man. I was able to show some cool Japanese folklore and exciting swordsmanship along with gun play and CGI magic. Again, the martial arts are there, but this is an adventure movie. My next film is Star Raiders: The Adventures of Saber Raine [which stars Cynthia Rothrock and James Lew]. This film is straight Science Fiction – not just a science fiction background to highlight martial arts. Instead, I am putting great martial artists into roles they would normally not be cast in. They will definitely get to show off their fighting skills, but it is by taking on more challenging roles that they will show their skills as actors as well. 3) Spend as little as possible. A basic concept in business is to keep costs low, but have a high sales point. However, in film it seems to be the opposite. The method is spend, spend, spend…the more money, the better the product! It seems like a bad way to think to me. I really believe that, if independent filmmakers want to find success, they need to be thrifty. Write a good script, get a talented crew, find name talent willing to work on a the project and put the money ON THE SCREEN. I have the benefit of having a company that owns it’s own RED epic cameras, lighting gear, stunt and fx equipment, etc… This allows me to invest all my gear in a film, along with a smaller cash investment than would normally be needed to create a film with more production value. After it’s shot, I take it into my editing facility where hundreds of hours of editing, sound work, visual effects, colour correction and music composition are added. Again, since I own all the computers and software, these elements are added at a very low cost. In the end, you have a film that looks amazing… The reason I do this is that the real money to be made happens in the distribution, so sucking it up during the production actually pays off in the end. As regards getting investment, the answer is, any way possible. I personally like to find individual investors for each of my projects where we share both the risk and the reward. Product placement on my level of films has been extensive in relation to products donated to be used by the production or highlighted in the film, but I have never received any cash funding toward actual production. Unless you have big budgets and big stars I can’t imagine product placement would translate into a financial investment. 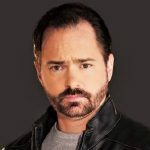 Ian McCranor: Your new movie starts production very soon, can you tell me more about it – how did you decide on the cast, did you audition the fight choreographers or do you have people who you always use and, if someone wanted to be considered as either an actor, stuntman/women etc… how would they contact you? 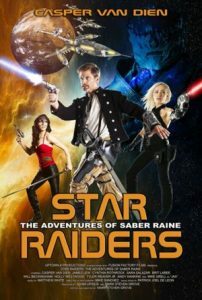 Star Raiders: The Adventures of Saber Raine (2015) begins principle photography in the fall 2012 in Denver. The synopsis is: “Rocket ships, Alien Races and Giant Robots abound in this heart-pounding tale where the stellar adventurer Saber Raine (Mark Steven Grove) joins forces with to oppose the merciless conqueror Vultaron and his Tyrian Armada. In order to stop the threat they must journey into the mysterious area known as ‘Rogue Space’ where they discover a huge galactic citadel floating quietly among a graveyard of decaying space ships, the last remnants of a long forgotten war. Mark Grove: This film is actually very close to my heart. You see, when I was a kid I was kind of a loner. I spent countless hours sitting alone in the theatres, yet I was never lonely. I had my imagination…It was in a dark theatre in 1980 that I knew I would, someday, pursue a career in film. I went to see the film Flash Gordon, starring Sam J. Jones and Max Von Sydow. I was awestruck. Something about this particular film captured my creativity. I went on to see the film over 80 times during its run at the theatre. I know, a bit obsessive, but something about it ignited that spark in me. And now, here I am, three decades later revisiting that youthful energy. As far as deciding on the cast. My first choice for Kandra’Syn was Cynthia Rothrock. When I first started playing with the idea of the film, I told my partner, James Lew, that I really wanted Cynthia for the part. He had worked as a stunt co-ordinator on one of her films a few years earlier and he said he would set up the meeting. A couple days later we were having lunch in LA and she was excited at the idea of playing something a bit different. With her on-board, I went to work. I also had a meeting with Flash Gordon himself, Sam J. Jones. It was great to actually meet the man behind the character that had become so iconic in my mind. Sam was equally excited about my ideas and I left that meeting feeling that anything is possible. As with all my films, James Lew is on as the stunt coordinator and we share creative duties in fight coordination. Although James has a huge body of work behind him, most admire him for his martial arts and stunt related roles. But, he is also an amazing actor. He played the primary hero, Asura, in Tengu: The Immortal Blade, and he will have an equally important role in Rogue Space: The Adventures of Saber Raine. I am always ready to meet someone new who inspires me. Such people always have a place in my movies. Anyone interested in becoming part of my Action FX Team can email me at Rocky Mountain Stunts RiskFactorATC@aol.com. Ian McCranor: Do you have anything else in the works? Yes, I am currently set to release a series of books on both the martial arts and a series on working in the entertainment industry. The martial arts series is collectively called The Arcanum of Ninja Tactics and within these books, the reader will uncover the secret fighting techniques, combative strategies, mystical teachings and special skills maintained by the warriors who study the amazing art of Ninjutsu. The first book in the series, Path of the Shadow Warrior, was released in August 2012 and, as of now, there are six more books in the series that will all release before the end of 2013. 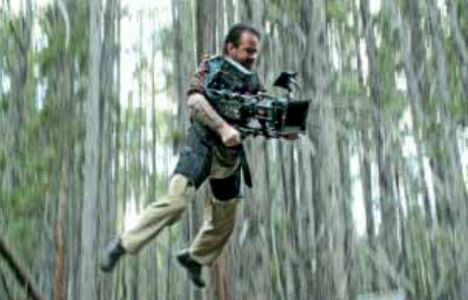 The entertainment industry books will focus on stunts and special effects in independent film and a ‘how to’ on making an independent action film. 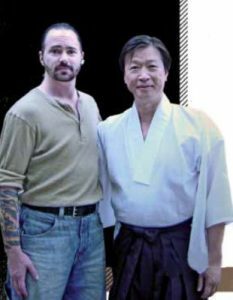 This Interview by Ian McCranor was originally published in Martial Arts Illustrated magazine in the November 2012 issue.